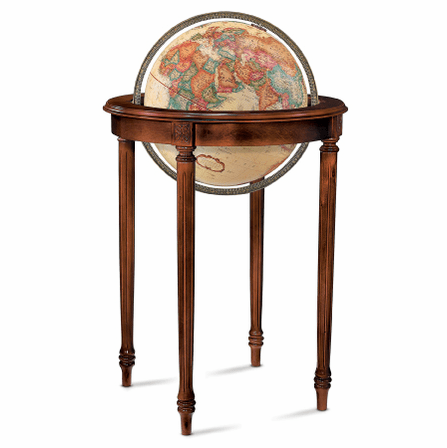 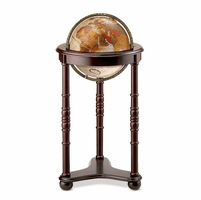 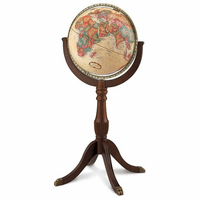 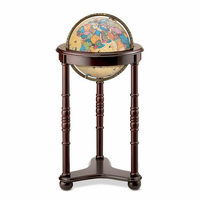 The beautiful walnut-finished solid wood floor stand gives the Regency globe, by Replogles, its name. 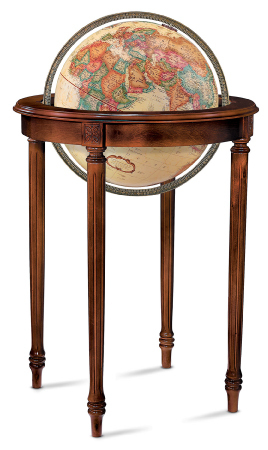 Long, ornate Regency legs hold a base for a 16' diameter globe, set in an antique brass-plated die-cast meridian that is attached at the Poles, and allows the globe to spin freely. 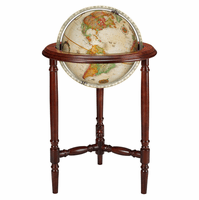 The globe has an antiqued parchment white ocean background, with muted shades that define the countries, creating a vintage look that will be stunning at home or in the office.